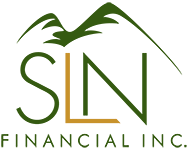 November 4, 2015 - 4 Year-End Insurance Tips | SLN Financial, Inc. The end of the year is fast approaching, and it’s a good time to review insurance and make sure that you’re making the most of your options this year. Now is an excellent opportunity to review your home, auto, and other policies and shop around for rates. Take a look at your coverage and ask your insurance professional if you qualify for better rates or discounts. All insurance policies aren’t created equal, so it’s always a good idea to make sure that your policy suits your situation. While lower rates don’t always mean a better deal, you don’t want to shell out extra money for options and riders you don’t need. Bundling medical services in the same year can save you money. If you’ve already met your deductible under your health insurance plan, take the opportunity to schedule physicals, medical appointments, and procedures before the end of the year. Once your deductible resets in January, you’ll have to pay out of pocket again. Keep in mind that doctors’ offices fill up at the end of the year, so make your appointments early. If you’ve had any medical procedures or physician’s visits, double-check your medical bills against your insurance benefits. Make sure that there aren’t any erroneous charges on your bills (it happens more than you’d think) or services that you didn’t receive. Reconcile your bills with your insurance Explanation of Benefits to ensure that you aren’t paying more than you should. Medical identity theft is a growing problem and one of the best ways to avoid being charged for fraudulent services is to regularly audit your medical bills and insurance Explanation of Benefits. Even if you may not need some of these items immediately, it’s not a bad idea to stockpile them for next year. Now is also a good time to review your healthcare spending for the previous year and decide how much money to contribute next year.